There’s a poignant scene in The Martian, the Ridley Scott film that is based on the novel by Andy Weir, in which stranded astronaut Mark Watney is finally reconnected with fellow humans on Earth. 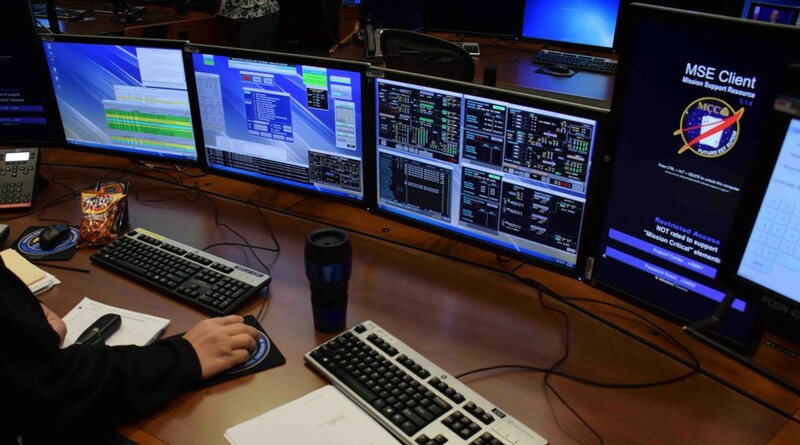 The moment is facilitated by old school technology — a broken and obsolete Pathfinder probe kicks into action, transmitting a stream of code and image data. Not a tablet, mobile or laptop screen in sight. The simple mechanical indications of data transmission are all it takes to re-establish Watney’s psychological umbilical to the warm noisy mess of humanity. It’s a pure moment, beautiful in its simplicity and artlessness. “It’s one of my favourite moments”, says David Sheldon-Hicks, creative director of Territory, the studio behind the screen graphics in the film. For a man whose professional life revolves around the creation of graphic interfaces for films, games and brands, this is a bit of a surprise. What about moments that feature screens? Like the ‘Watney’s Alive’ moments, when Territory’s luminescent screens reveal the astronaut’s fate to NASA, or the ‘Are you receiving me?’ moment when communication is finally reestablished? “Yes, those are definitely great moments as well”, he laughs. And there are more. Many more. This is a film that embraces screens with open arms and invites them to take centre stage — well ok, just below, above or behind Matt Damon. 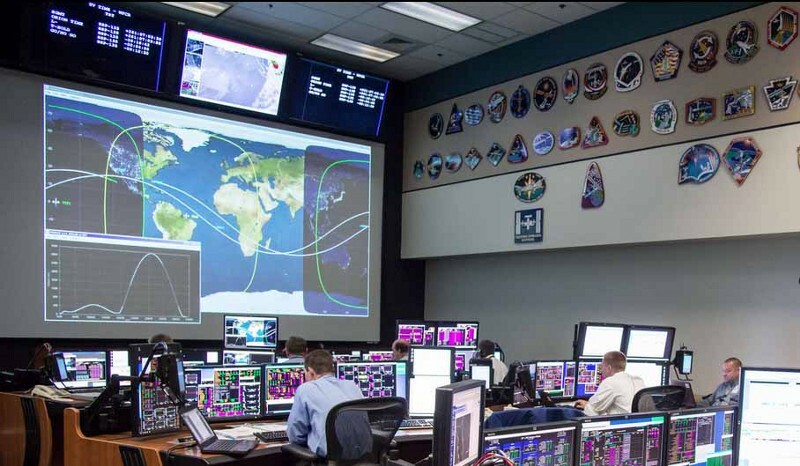 Pathfinder images transmit Watney’s message. Image courtesy Twentieth Century Fox. 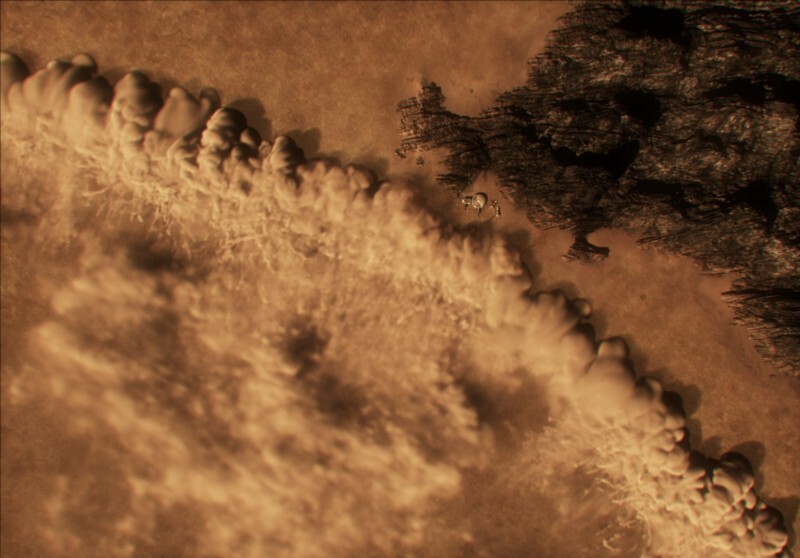 “Yes, it was evident early on that much of the film hinged upon communication between the various agencies within the film and that the screens would play an integral part of this aspect of the story”, says UI Art Director Felicity Hickson, one of production designer Arthur Max’s art team. With a story that has been developed and realised with advice from NASA and the European Space Agency, The Martian doesn’t fit neatly on the sci-fi shelf in quite the same way that Prometheus did, with its fabulous futuristic technology, aliens, synthetics and plot twists. Arthur Max agrees: “More science than fiction”, he says, “what sets this story apart from many others about the exploration of outer space is that the entire plot is predicated on real science. And, the parallel stories of the main character, his fellow Ares 3 astronauts, and the NASA Mars mission scientists on Earth have to strike a balance between science and fiction that could credibly happen in real life”. ‘Credibly happen in real life’ is a phrase that defines this project, which is set around 20 years in the future, during NASA’s third manned mission to Mars. When this ‘near future’ NASA realizes that Watney is alive and well and stranded on Mars, it brings the full resources of the agency behind the effort to bring him home — helped by massive international media interest, goodwill and a sense of collective responsibility. “We were asked to join the project at the outset”, says David. The process was similar to most films he has been involved with since Prometheus. It begins with discussions with the director and production designer about story and vision, set and environmental design, creative imperatives, then the script is broken down by story points that could be supported or told with the help of screen graphics. “Screens are sometimes the most efficient way to tell a complex story elegantly”, he says, “and Ridley absolutely understands the power of graphics to support and achieve dramatic effect”. A case in point is the ‘Watney’s Alive’ moment. 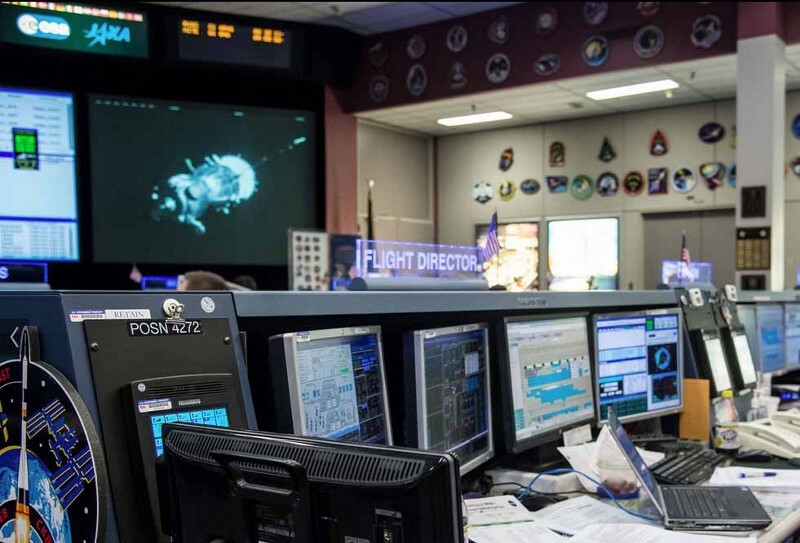 The scene is simple enough — Mindy, a NASA employee, is working a night shift when she receives satellite images from Mars, taken several weeks after a sandstorm aborted the mission. As she studies them, looking for signs of Watney’s body, she notices a few details that suggest the site is more intact than expected — the HAB’s (habitat) massive array of solar panels are clean of sand, the way the Rovers are parked, and a couple of tents have been set up just outside the front door. These images fill the cinema screen and we absorb the details at the same time as Mindy does — and sigh in relief as the truth dawns at NASA that this guy is stranded on Mars, with no quick way home. The moment is pure drama, just as Ridley intended. “It was the most important scene for us”, says Felicity of the teamwork with Territory, “because the motion graphics and the screens were telling the story and we had to do that in such a way that the audience could understand at the same time as Mindy”. The work produced for this shot was some of the first to be finished and became the foundation of what the team was trying to achieve visually for the whole film. 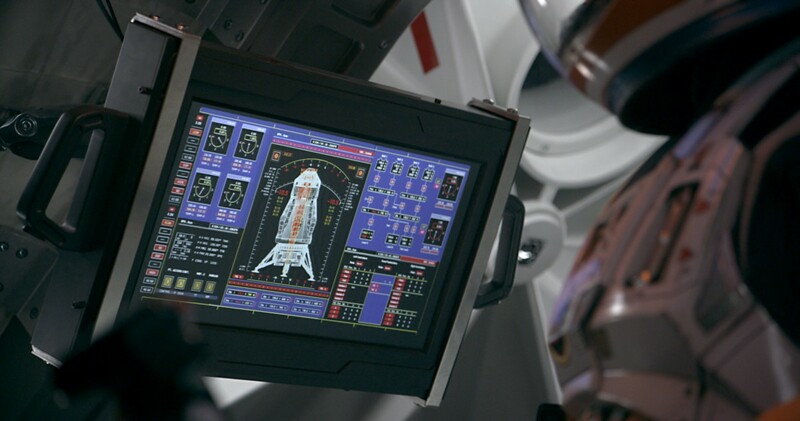 From the colours of the Mars satellite views, the image quality of the HAB and how the graphics were going to zoom in, to the look and feel of the Mission Control screens, this scene had a huge impact on the details that fed into the rest of the film’s screen graphics and interfaces. Martian landscapes feature craters, dust storms and NASAs research facility, as visualised in 3D. David laughs appreciatively. “Yes, it was intense. But this project was special — it’s not every day you get to work with NASA scientists”, he adds with the satisfaction of someone who has seen a lifetime wish fulfilled. The relationship with NASA was exceptionally close and led by Dave Lavery, Program Executive for Solar System Exploration. His contributions, comments and advice were pivotal to the film project as a whole and to the credibility and factual integrity of Territory’s work. 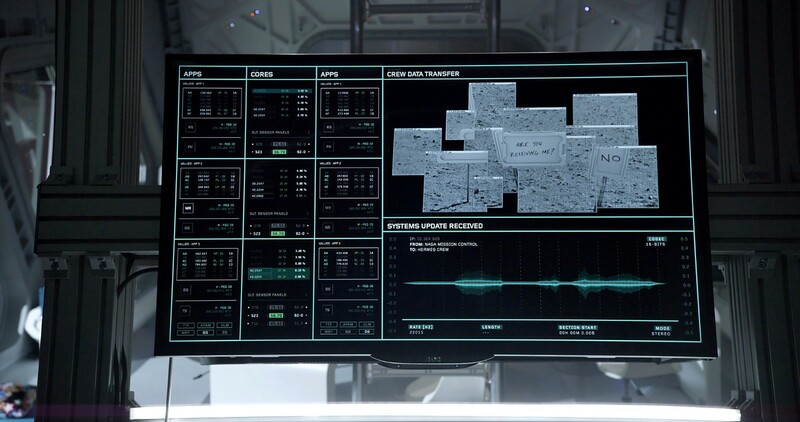 The Pathfinder is key to the pivotal ‘Are you recieving me’ scene in which Watney’s handwritten notes are lined up in front of its camera. You would be forgiven for thinking that this is an easy shot, just a backplate photocomped onto another photo, but the team approached it as a photoreal, fully flexible, 3D scene that could accommodate any last minute changes to the camera angle or lens, the time of the day, and lighting setup. 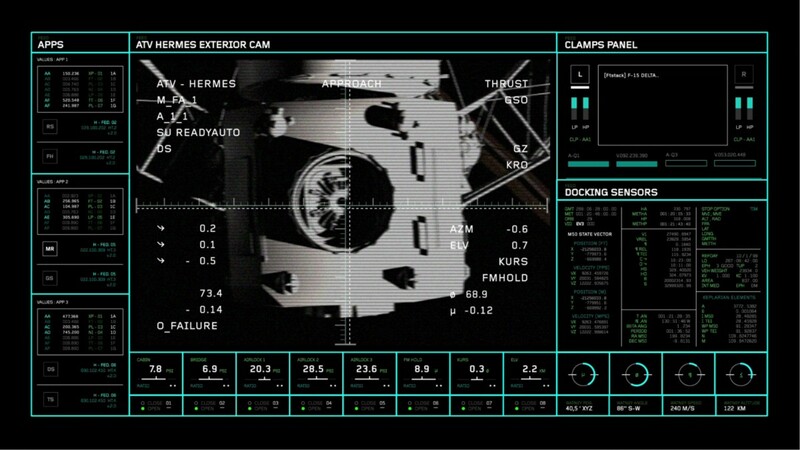 “We knew that this picture was sent back by the Pathfinder’s camera, so the first step was to gather all the information available about the optical systems, figuring out the exact distances between the things Watney put in front of the camera” says Peter. “I designed a few versions of the environment, and we ended up using a photo from the actual shooting location camera projected onto 3D geometry as the base. 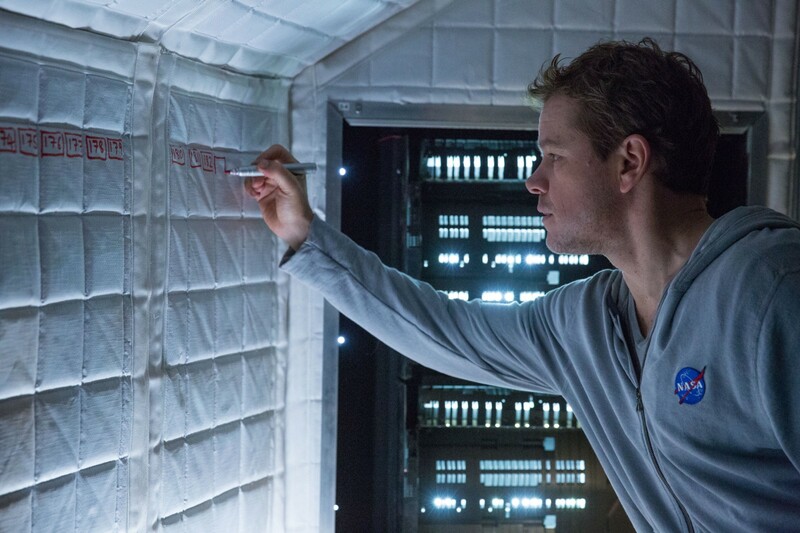 We received reference about the panel and we had received Matt Damon’s handwritten sentence to be put on the panel. 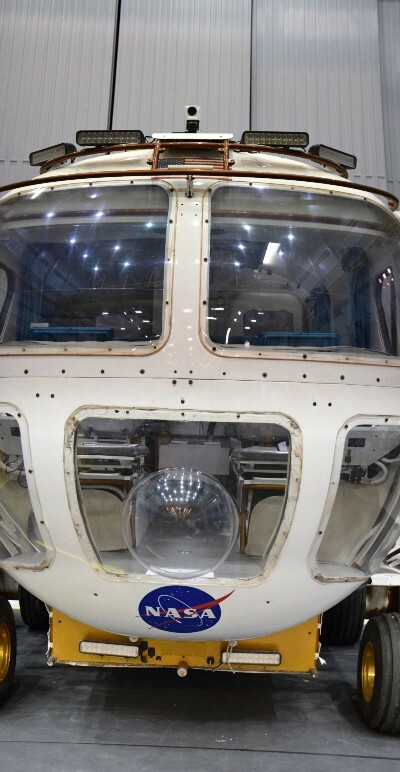 I created different versions of the Pathfinder solar array and instruments as well as the deflated cushioning to make sure we can deliver wider renders if the production needed them”. 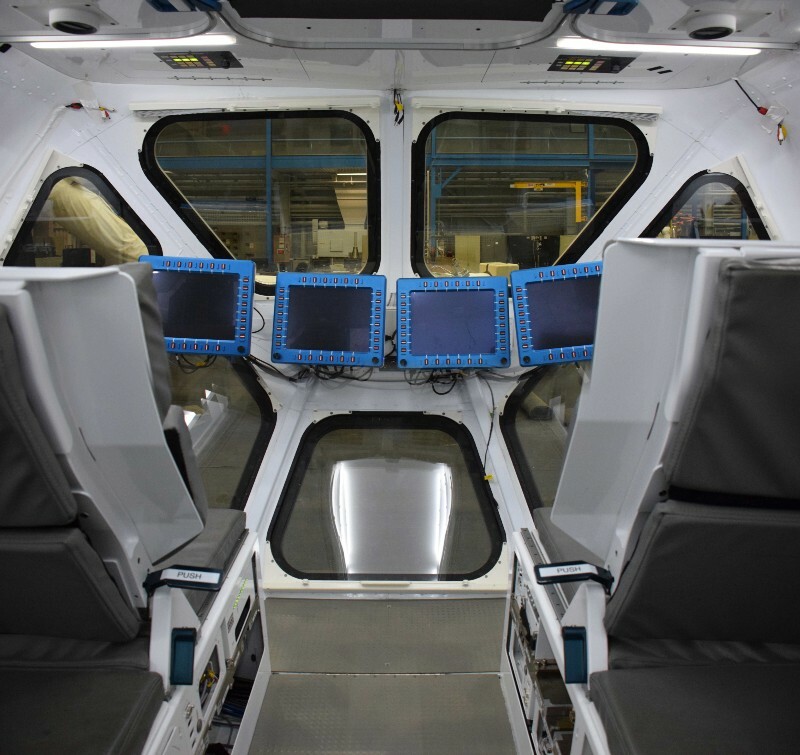 Different versions of the Pathfinder were created in 3D to ensure flexibility. 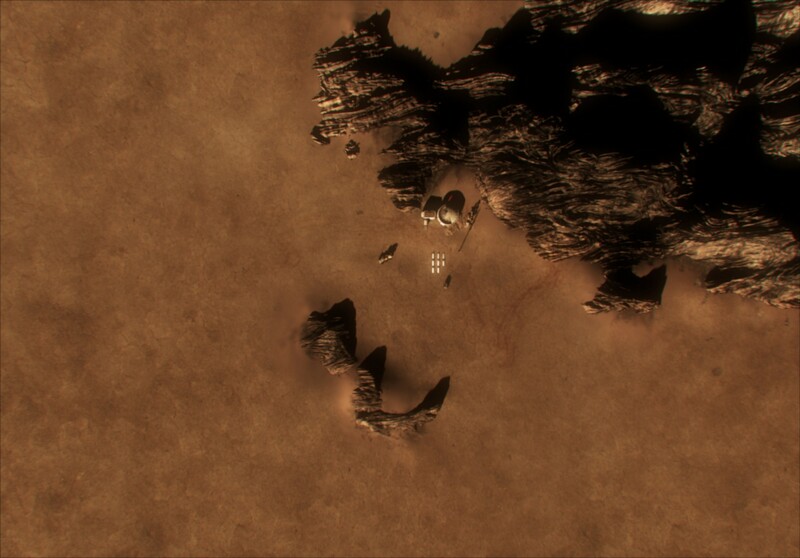 The level of detail and effort put into this shot is typical of Territory’s approach. “We want to make sure the director has absolute flexibility when shooting a scene and while that somtimes means more work for us, it pays off when Ridley Scott asks for a slightly different setup and we’re prepared for it”, says David. More than consulting, Lavery astonished and delighted the team by providing hundreds of images and descriptions of the Mars surface environments, Sojourner’s landing site, and component technologies, including battery packs, communications system, etc. He also provided images and descriptions of future Mars rover technologies (including images of the driver’s cockpit of a Mars rover concept currently in development at Johnson Space Center), and provided feedback on technical questions, such as ‘what happens to Hydrazine when it is exposed to the atmosphere of Mars?’ “It was a unique collaboration“, says David. 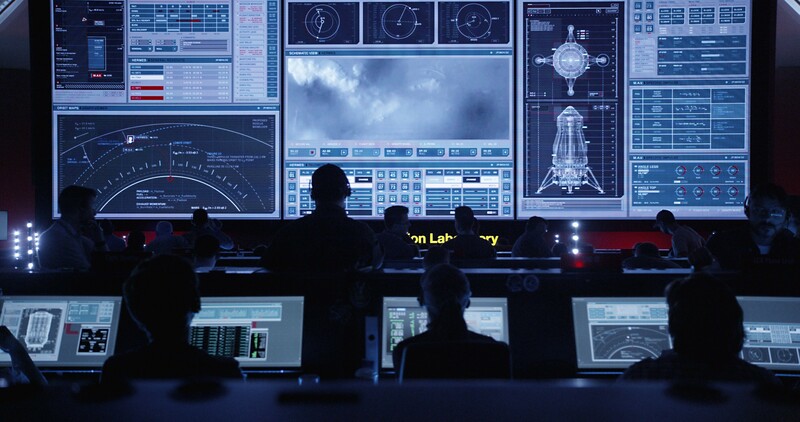 From left to right: Research images of JPL’s Orion Rover, courtesty of NASA, and the Mars Rover and screens in The Martian. Image courtesy Twentieth Century Fox. 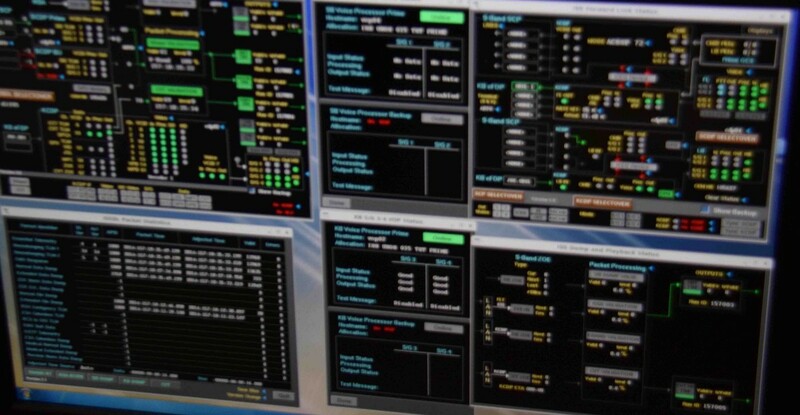 That special relationship comes through in the meticulously crafted environments and the screens — pared down and pure, each one glows with quiet authority, confidently displaying data, images and information, readily responding to commands and requests. It’s easy to forget they’re not real. Marti was responsible for realising the creative direction for the graphic interfaces, and lead the creative concepting, design and animation for all sets. With eight key sets, it was a huge task to oversee the delivery of 400 screens for on-set playback, many of them animated. 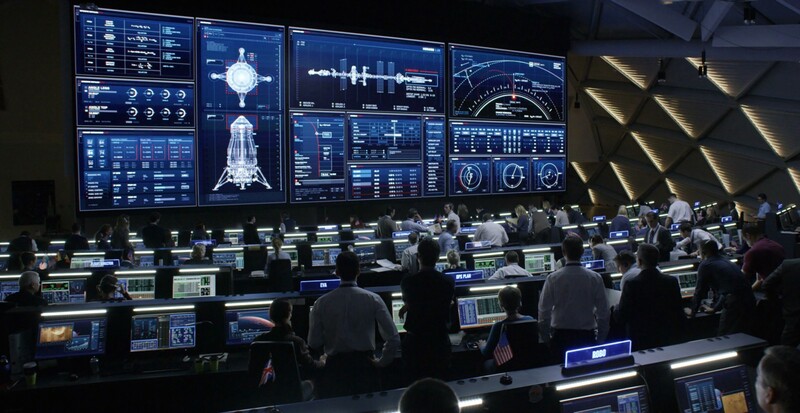 Mission Control alone featured around 100 screens. 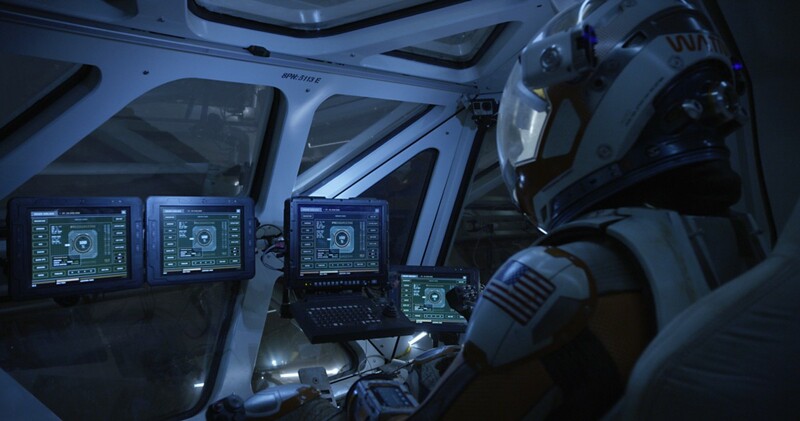 On-set playback means that the screens are live on set during each take, instead of added to green screens in postproduction. The choice is partly driven by the director’s preference and convenience. “Ridley was adamant that the actors had as much to work with and respond to in person as was possible.” Explains Felicity, “The motion graphics needed to marry up with the complexity of the dialogue or the actors would have found it very difficult. As specialists in on-set playback, the implications are well within Territory’s comfort zone. “We prefer doing things that actually work on-set, not only to help the actors marry their performances to the action, but also to have those exact transitions when they interact with our screens”, explains Marti Romances, Territory’s Art Director. Producer Sam Hart manages the process, including delivery of all motion graphics files to clients and the playback company Compuhire, that programmes the graphic and animated files to respond as seamless interactions to the actors’ key commands. “We worked on the project for 7 months”, says Sam, “and on average, we delivered around 10 designs and animations a day, but some days saw over 60 go across to set for next day playback. Our busiest month of November had us deliver almost 400 pieces of work in progress and final designs”. That sounds hectic. “Yes it was at times”, agrees Marti, “but Felicity and Dave at NASA were both so supportive that it was a genuine pleasure from beginning to end”. 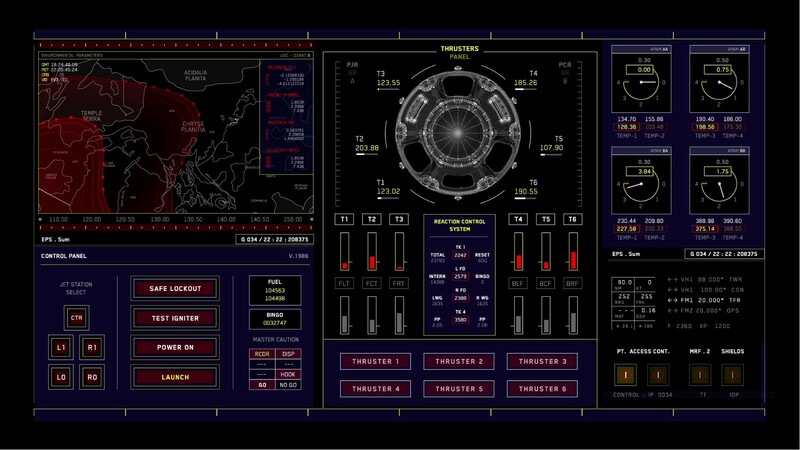 With 8 huge sets and screens that contained real information, the biggest challenge was to create graphics that looked like they were genuine NASA screens in 20 years time. “Realism was key” he says, “but we had to push it a bit further to convey cutting edge ‘near future’ technology. 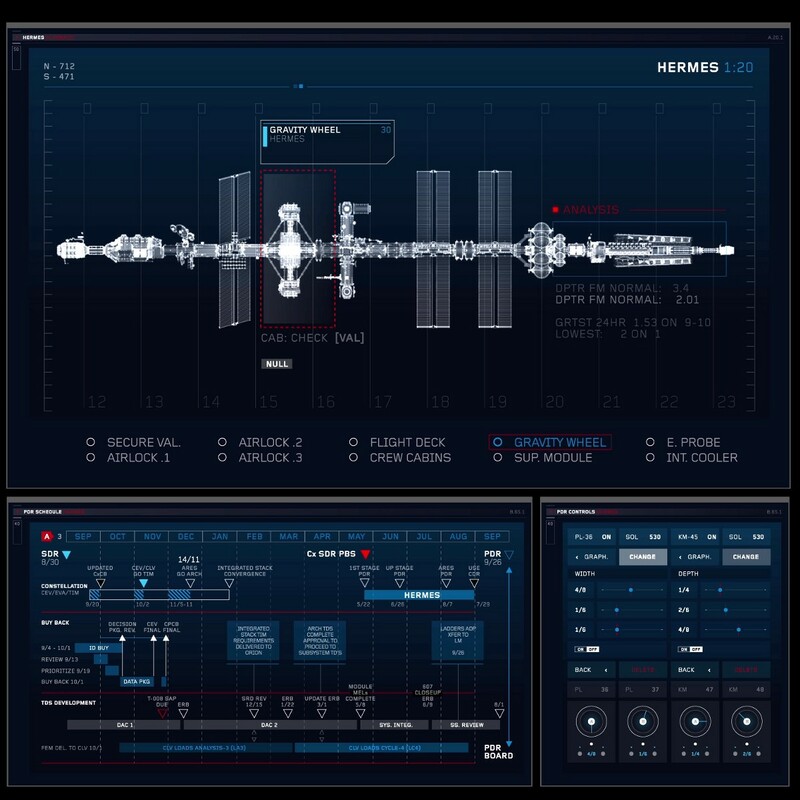 Knowing that NASA is always one step ahead of current technology we had to imagine ways to visually represent technologies that they are testing now or have not even started developing”. The research and development process was rigorous, but NASA’s assets provided excellent reference points. 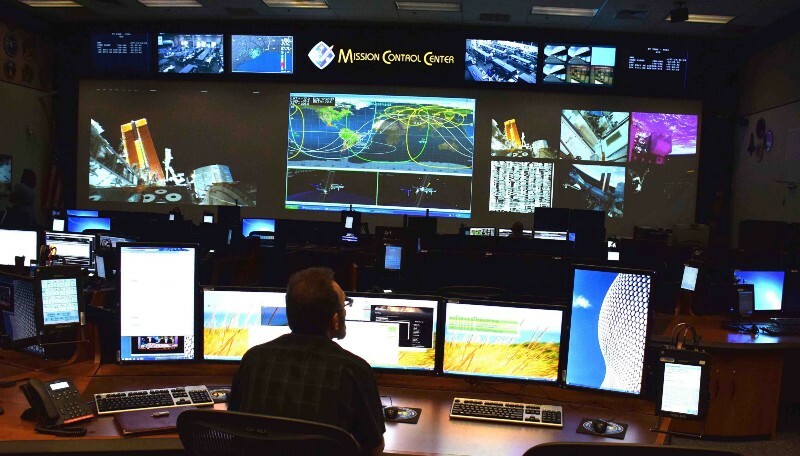 Dave Lavery sent snapshots of Mission Control and JPL as it is — people behind desks cluttered with workstations, laptops, keyboards and mice and paperwork, banks of screens rich with mission critical data streams — that fed into the concepts. 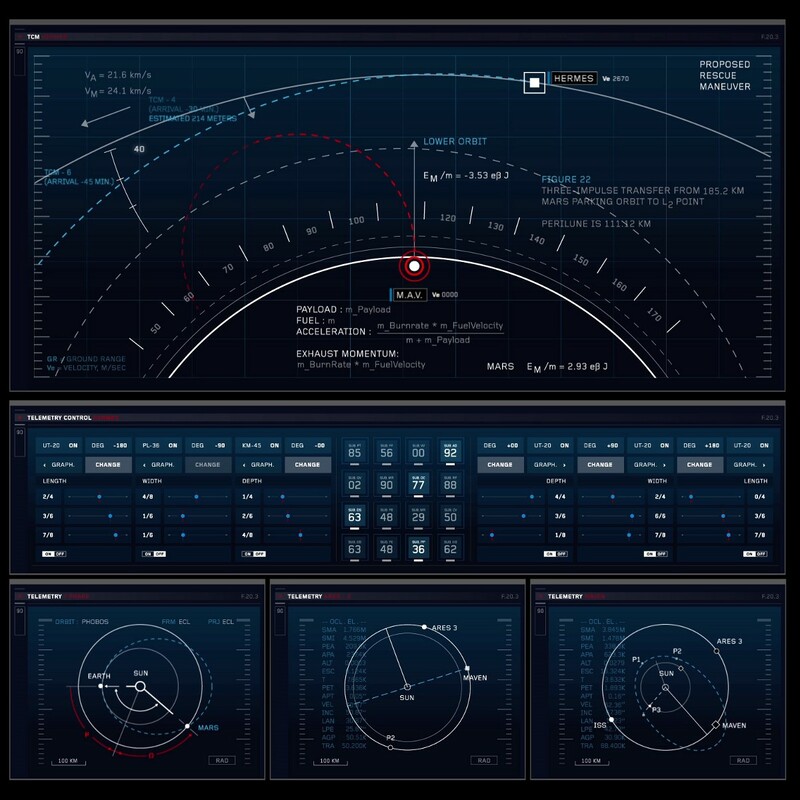 NASA’s reference images were the basis for the graphic interface designs for Mission Control. “The first creative task to establish a unique visual language and identity for each key set “ says Marti. Mission Control, NASA Jet Propulsion Laboratory, the Hermes spaceship, the HAB, Chinese Mission Control, Pathfinder, Mars Ascension Vehicle (MAV), NASA offices, crew laptops, spacesuit arm computers, each needed a distinct look and feel to help the audience differentiate between locations and context. Clockwise from top: MAV, Mars Rover and Mission Control. Courtesy Twentieth Century Fox. 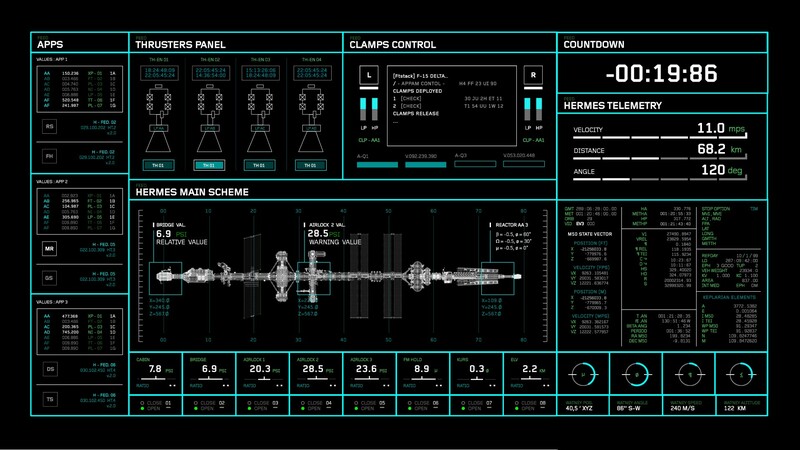 Once the details of the visual identity had been agreed (fonts, layout and colour palettes) the task was to simplify complex scientific information, data and visuals for each screen and marry those elements with story points, dialogue, performance and Ridley’s stylistic vision. It was a steep and surprising learning curve. To ensure authenticity the team had to understand enough of the science they were simplifying to make sure it retained factual integrity. “I learned new things all the time”, says Marti, “like, what material the camera is pointing to by shooting a laser at it and analysing the light reaction from it”. The Hab was given a clean and uncluttered laboratory feel to the visual language, with a blue and white colour palette against a dark grey background to really make the image stand out. 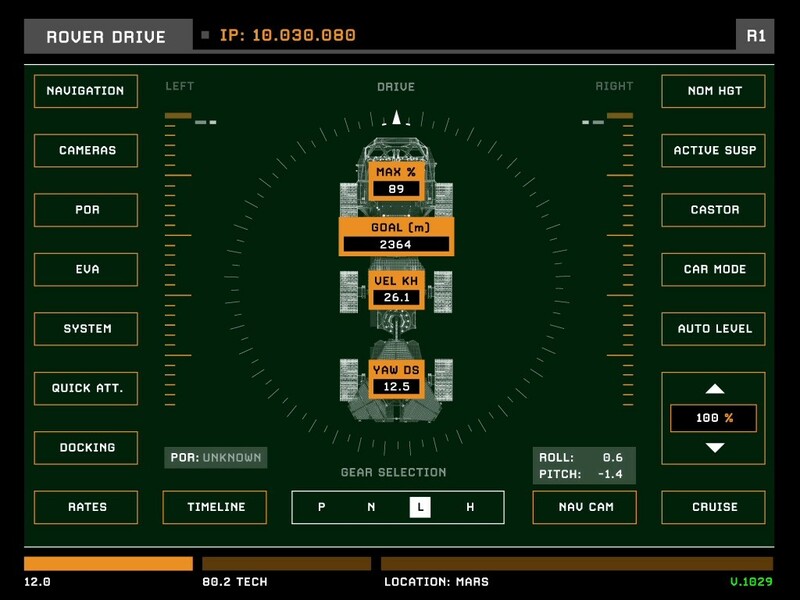 Rover displays are functional and utilitarian, based on the next generation of NASA’s Mars vehicles. 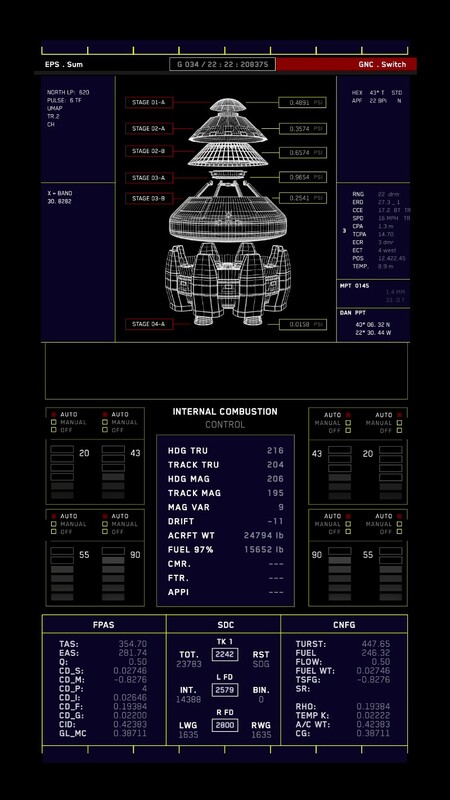 The visual langauge for the MAV consoles use purple panels with white typography and schematics against a black screen to differentiate data sets. Yellow and red colours indicates active systems and live data. 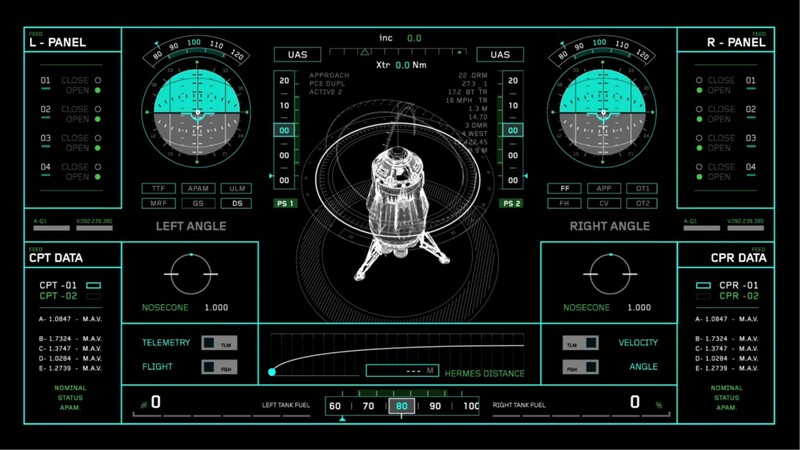 The designs for the Hermes spacecraft is driven by mission critical data and functionality. 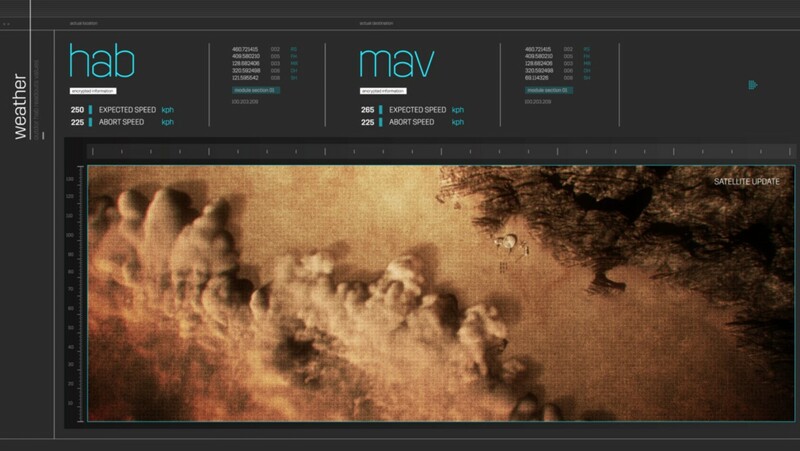 Mission Control screens reference NASA’s real data feeds, set within panels designed for visual clarity. 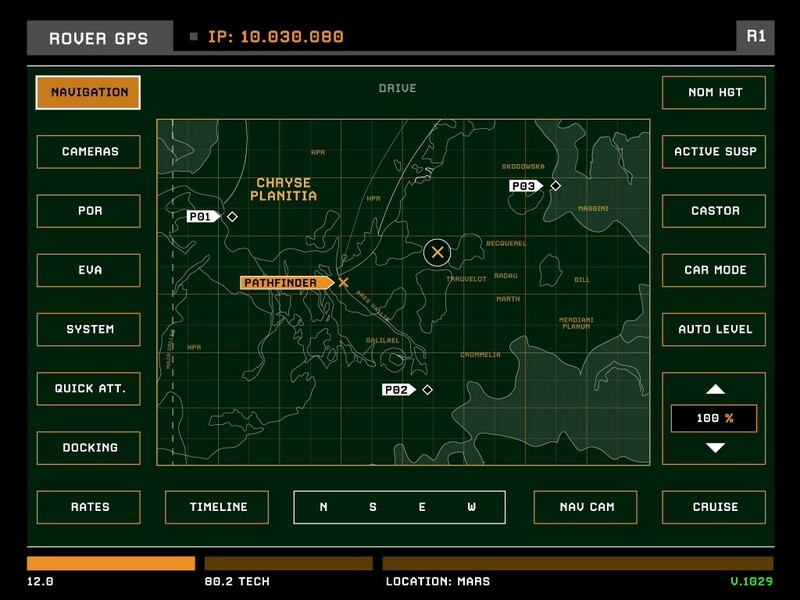 The resulting graphic interfaces tirelessly watch over each scene, providing a window through which the story unfolds, connecting characters, audience and action. 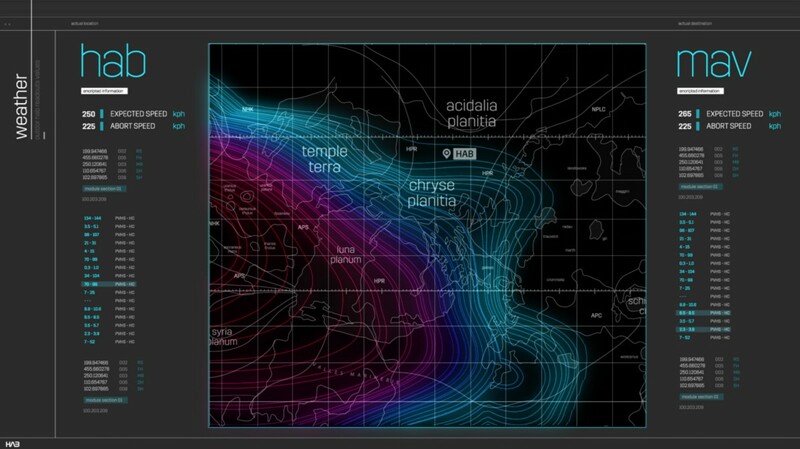 But does the data really retain its factual integrity in this dramatized context? “Yes, indeed”, believes Dave Lavery. “In all of the interactions I had with the entire production staff, it was very clear that there were very focused on making sure the film would be as technically accurate as possible within the context of the story. The glimpses I had of the in-production work, and some of the follow-on questions asked by the production team bore this out”. And, will NASA be able to take anything from it? “Luckily that was outside of our remit,” says David. “We’ve done our best to balance fact and fiction, crafting visual elements that provide the audience and actors with the right information in an elegant design that clearly communicates the essentials. Our ultimate goal is that our work feels seamless and credible within the context of the story”. It’s exciting for everyone, and NASA’s own scientist Dave Lavery articulates everyone’s hopes for the film. “I’m anxious to see the audience reactions to the depiction of Mars, how it’s an incredibly harsh and unforgiving environment, but at the same time a place of stark beauty. I’m hoping that people will really understand what an incredibly difficult undertaking it is to send humans to the next planet — but also what an amazingly inspiring journey it is”.